Electro Chemical is certified by the Commonwealth of Pennsylvania Department of Environmental Protection (PADEP) Bureau of Waste Management to employ certified installers and inspectors to perform certified activities on aboveground storage tanks regulated pursuant to the Storage Tank and Spill Prevention Act (35 P.S. Section 6021.101 et seq). Electro Chemical inspectors and installers are authorized to conduct tank inspection and tank handling activities as outlined in the Storage Tank and Spill Prevention Act and department regulations at title 25 PA Code chapter 245 for installation, repair and modification of shop manufactured aboveground storage tanks (ASTs). 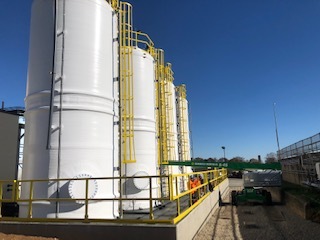 Electro Chemical has the capability of handling the certified installer civil work (ACVL) for containment construction, either metal or non-metallic manufactured tank installation (AMMX or AMNX), and the mechanical work (AMEX) for piping, pumps, valves, and fittings. 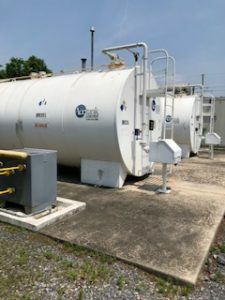 Additionally, we are certified for aboveground tank removal (AMR), tank lining installation (TL), and aboveground manufactured tank inspection (IAM). •Tank construction, as well as modifications, must meet or exceed codes of practice by nationally recognized industry associations. •Installation of new tanks must be in accordance with manufacturer’s specifications, engineer’s design and current industry codes of practice. 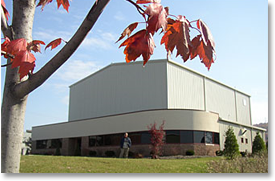 •Tanks and containment must be protected from corrosion and deterioration. •A monitoring system capable of detecting leaks must be installed. •The tank system must have both secondary and emergency containment. •Before being placed in-service after installation, reconstruction, relocation or modification, tank systems shall be tested and inspected. Please be aware this is not a complete listing of all regulatory requirements. Refer to the PADEP website for additional and complete information. Please contact us for any of your registered aboveground storage tank installation or inspection needs.